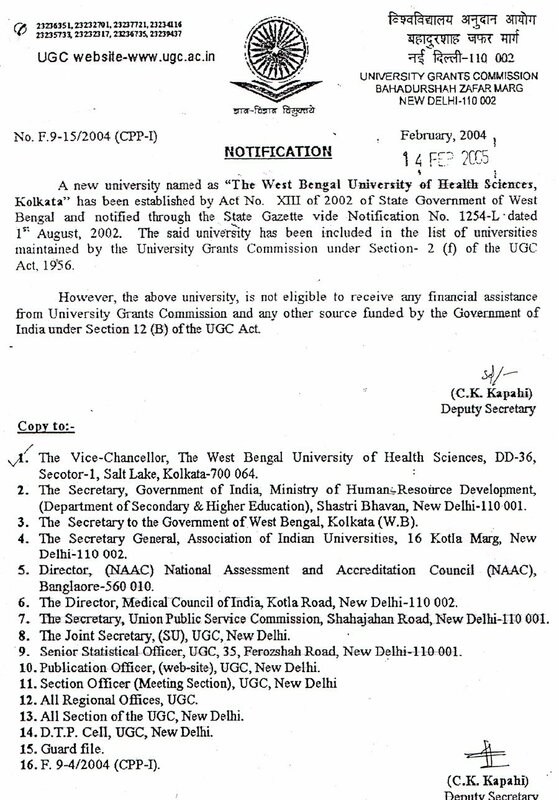 For the purposes of affiliating, teaching and ensuring proper and systematic instruction, training and research in Modern System of Medicine, Homoeopathic System of Medicine, Ayurvedic System of Medicine, Unani System of Medicine, Nursing Education, Pharmacy Education, Dental Education, Education on Laboratory Technology, Physiotherapy, Speech Therapy and Education on other paramedical courses 'THE WEST BENGAL UNIVERSITY OF HEALTH SCIENCES ACT - 2002' was passed by the West Bengal Legislature and 'The West Bengal University of Health Sciences' came into existence on 1st January, 2003 at DD-36, Sector-1, Salt Lake, Kolkata-700 064. From 2003 the University took up the responsibility of Undergraduate, Postgraduate and Post-doctoral courses including the Ph. 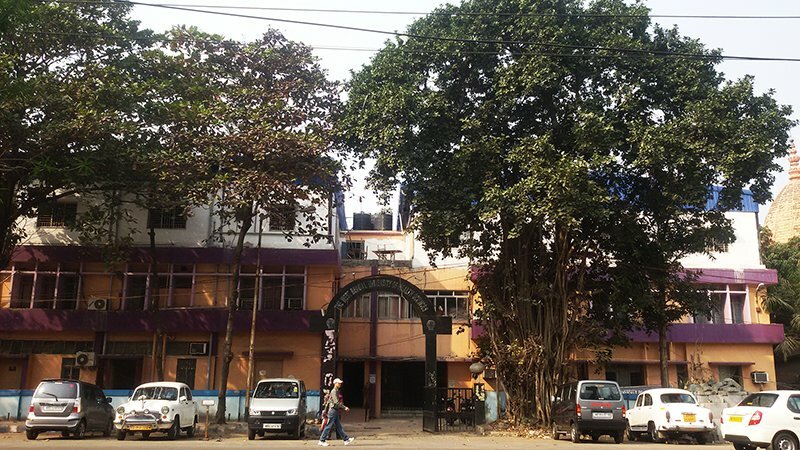 D programme in Modern System of Medicine, Homoeopathic System of Medicine, Ayurvedic System of Medicine, Unani System of Medicine, Nursing Education, Pharmacy Education, Dental Education, Physiotherapy, Speech Therapy and Education on other paramedical courses like Occupational Therapy and Prosthetics-Orthotics in the state of West Bengal. Since 2003 the University affiliated a number of new colleges throughout the State and as a result, the number of seats in MBBS, BDS, BAMS, BPT, B.Sc (H) in Nursing, M.Sc. (Nursing) and B. Pharma courses increased considerably. Some MD/ MS seats in different subjects of Modern Medicine and Homoeopathy have also been added. New courses like Post-doctoral Certificate Course in Neuro-anaesthesia, MPT and Master of Audiology and Speech Language Pathology have been introduced. Some more are also in the pipeline. The University hopes to foster and develope an intellectual climate conducive to the pursuit of scholarship and excellence, either independently or jointly with other centers of excellence of higher learning. 'Act.-2002', 'Statutes-2003', 'Rules-2003', 'Regulations-2003', 'Ordinances-2003', Fees Structure, R.T.I etc. UGC Notice- curbing the menace of ragging in higher educational institutions. Kind attention to the viewers … Please use updated web-browser as well as 'refresh' / 'reload' web-pages each and every time for latest infomation ….